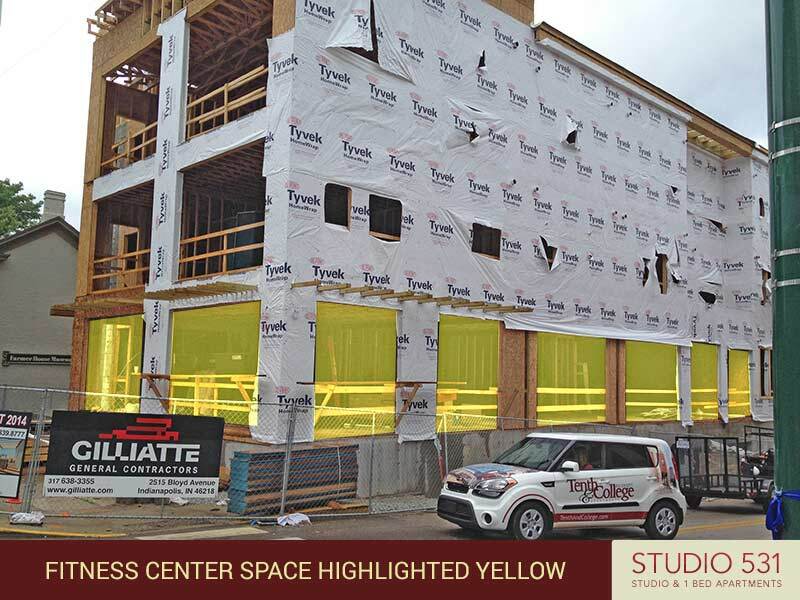 If you happened to pass the intersection of 10th & College recently, you may have looked directly into the future fitness center on the main floor. Based on excellent input from our Tenth & College Campus residents, this new fitness center is going to be something special. 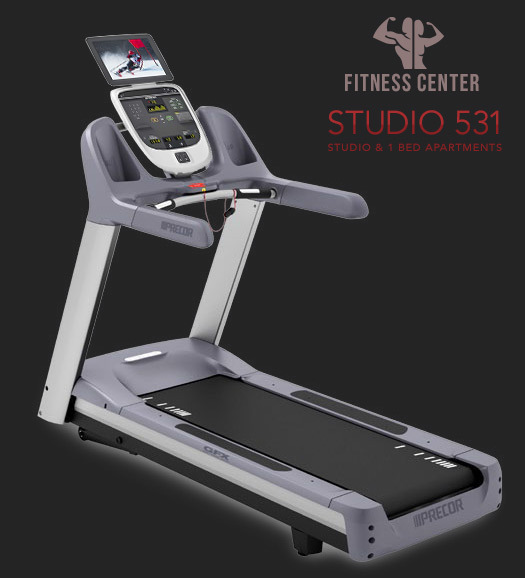 It will be stocked with top of the line products from Precor, Keiser, Legend Fitness and more! Just look how big it will be! The Treadmills are ordered – 7 of them! – Precor TRM 811 treadmills with console and 15” Personal Viewing System, so you can catch up on your shows or watch live sports while you workout. The excitement is building for our August grand opening. We will have more fitness center equipment details and pictures in the coming weeks. Follow us on Facebook, Google+ or visit us here for the latest on Studio 531 downtown Bloomington apartments.